I was born in New Hampshire, at Dartmouth-Hitchcock (Lebanon) and have lived in the New Hampshire Lakes Region all my life. I live with my parents, older sister, two dogs (a Golden and a beagle mix) and three rabbits. I have an older sister and brother too, but they don't live with us. I am now in 2nd grade. My two dogs. Reading. Piano. Hoola Hoop. My Google Nexus 7 Pad. Family TV: Northwoods Law, Funniest Videos, Fast-an-Loud etc. 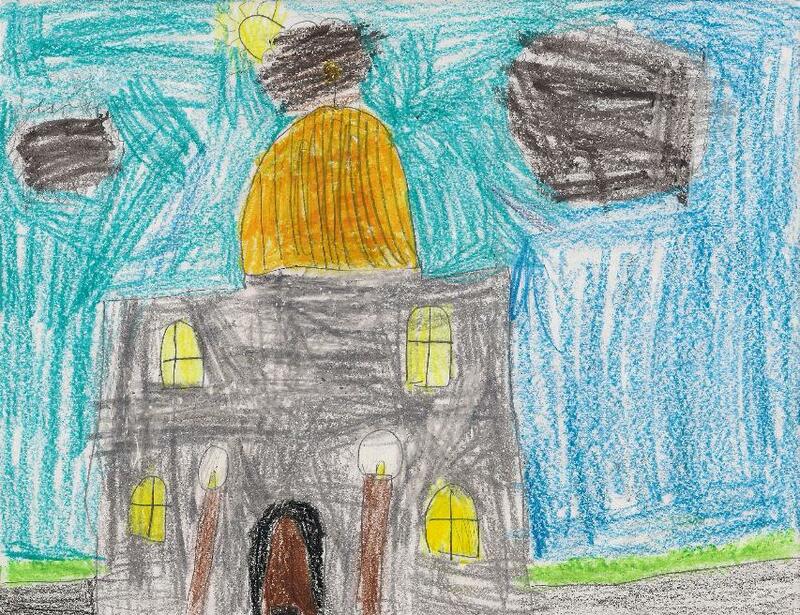 A picture of the Concord, New Hampshire, State Capitol that I drew in school in December 2013. I have been to the Capitol once, last Christmas, but I drive by it often.